Call Me MiSTER (Mentors Instructing Students Toward Effective Role Models), an innovative new program focused on increasing the number of expertly-trained teachers from diverse backgrounds, is being launched this fall by Louisiana Tech University’s College of Education in an effort to recruit and support African American males to become highly-qualified elementary school teachers. CORE (Collaborative Regional Education) brings technology to high-need, rural classrooms with the goal of improving college and work readiness among 8th-12th grade students. The CORE model integrates technology in classrooms and provides teachers with professional development that prepares them to use technology as a tool to support individualized learning. Other components include partnership building, classroom support, dual enrollment scholarships (CORE Scholars), and change management. The i3 grant, a subcontracted partnership with Jacksonville State University, builds upon what has already been established for CORE, with the long-term goal of implementing the program nationwide. CORE envisions the transformation of K-12 and higher education so that students are increasingly engaged, instructors are increasingly innovative, and educational institutions are increasingly supportive of system-wide change and community-wide partnership building. The mission is to fuel transformation through professional development, project/challenge-based learning, technology, classroom support, change management and partnership building, evaluation and research, and innovative teacher preparation. CORE’s goals are to prepare students for college and career through increases in 21st Century Skills; expand methodologies and technologies in the classroom; and create sustainable support for system-wide change management. Nine teams from local high schools will work for weeks to design and build industrial-size robots in order to compete in Louisiana Tech’s inaugural FIRST Robotics Competition, hosted by the College of Education and SciTEC in the Doug and Sandra Boulware SciTEC Learning Lab. The Louisiana Center for Afterschool Learning (LACAL) is a growing collaboration of local, regional and statewide organizations working together to improve the quality and access of afterschool, summer and youth programs. Louisiana’s network includes state agency leaders from the Louisiana Department of Education, the Louisiana Department of Children & Family Services, the Louisiana Workforce Commission, and the Office of Juvenile Justice, educators, afterschool providers, child care centers, youth development experts, faith- and community-based organizations, parents and youth. 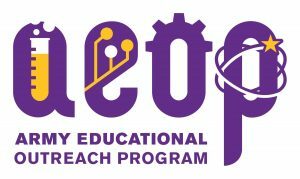 REAP is a summer STEM program that places talented high school students, from groups historically underserved in STEM, in research apprenticeships at area colleges and universities. REAP apprentices work under the direct supervision of a mentor on a hands-on research project. REAP apprentices are exposed to the real world of research, they gain valuable mentorship, and they learn about education and career opportunities in STEM. REAP apprenticeships are 5-8 weeks in length and apprentices receive a stipend.